Man Accused of Killing His Mom Over Fortune, Covering It Up With His GirlfriendsJared Eng reportedly called two women he met at college to help him after the alleged murder. New York’s Brushstroke Will Close, Following Chef David Bouley’s DepartureThe Japanese restaurant opened seven years ago. A Tribeca Condo Where Playful Glamour Meets Graphic ContentInterior designer Jessica Ayromloo combined a clean, contemporary black-and-white palette with a side of color and a riff on Memphis design. Frenchette’s Confident Takes on Timeworn Classics Brim With Creativity, FinesseThe menu is filled with carefully rendered dishes drawn from the old French canon, which others might consider too quirky, expensive, or laborious. The Tribeca Loft That Doubles As a Design ShowroomDanish Brand Vipp’s third-generation owners live in a loft with their wares on display. What We Learned at Time’s Up’s First New York EventThoughts from Lupita Nyong’o, Julianne Moore, and more activists. 17 Films You Should See at This Year’s Tribeca Film FestivalIncluding a forbidden romance between Rachel McAdams and Rachel Weisz, and Alexander Payne’s Tully. A Downtown Loft That Embraces Its Wood AccentsDesigner Laura Santos decorated a Tribeca apartment for clients who played up the previous owners’ wood-centric architecture. A Tribeca Loft With African Touches and Lots of LightWhen an interior designer and her husband moved to New York, they found a huge apartment in a 19th-century building that was almost perfect. The Cast of Will & Grace Will Headline Tribeca’s First-Ever TV FestivalThe festival will also include premieres of new series Ten Days in the Valley, Liar, and more. How Nobu Conquered the ’90s and Became an Unstoppable Global EmpireAs the iconic Tribeca restaurant closes its doors, co-owner Drew Nieporent looks back on 23 years in business. Yves, From the Owners of Smith & Mills and Navy, Is Tribeca’s Newest Date SpotGood vibes, and simple food like potato gnocchi and roast chicken. New York Now Has a Shop Specializing in Chicago’s Italian Beef SandwichesThe regional favorite is the centerpiece of the menu at Hank’s Juicy Beef. David Bouley Makes Plans to Move All of His RestaurantsHis namesake spot, Bouley, will reopen in a significantly smaller space. Tribeca Resident Goes Nuclear in Dispute: Suit The suit claims a Tribeca woman positioned a spotlight, strobe lights, and a disco ball to shine into her neighbor’s apartment. Raccoon Lodge Closing on June 30Another bar named Raccoon Saloon might open nearby, but it doesn’t appear to be from the same people. The Grand Banks Boat Officially Reopens on May 3With lobster rolls, oysters, and rosé. A Film That Reminds You What It Feels Like to Be a Teenage GirlAll This Panic, which premiered at Tribeca, follows seven Brooklyn teenagers over a three-year period. This Is The Best Year For Female Directors in Tribeca History Around 40 percent of this year’s films were directed by women. Tour a Tribeca Penthouse That Goes Beyond Custom-madeAn open-air courtyard cuts through the 6,000-square-foot apartment in the iconic Gerken Building. Raccoon Lodge Still OpenThe beloved dive has managed to stave off eviction for longer than anyone thought possible. Two Hands Restaurant & Bar Opens in TribecaAnd, naturally, plenty of avocado. The Art Megacollectors Who Live in Their Own Contemporary MuseumWhich they open to the rest of us each March. 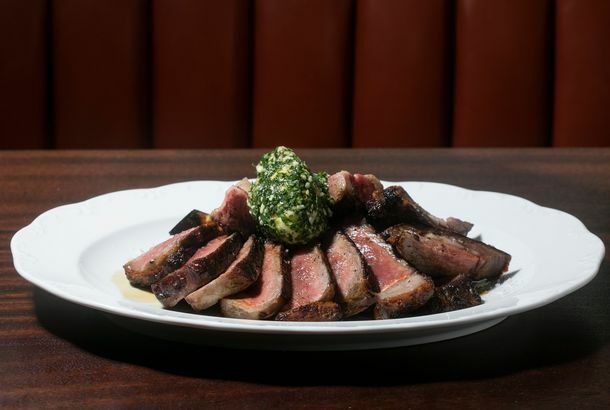 Tribeca’s City Hall Restaurant Is ClosingIt’s a favorite among local politicians. A High-Style Garbage Garage on West StreetYou have the cranky neighbors to thank. Maman Tribeca, Now Open, Is a Full-Blown French RestaurantService runs from 7 a.m. to midnight, and there are plated dishes. Celeb Fitness Studio Sued For Vibrating BuildingTracy Anderson is very, very strong. Tribeca residents are very, very angry. For $50 Million, You Can Buy That Tribeca Skybridge and Live in ItThe house it’s attached to is included. Maman’s Tribeca Location Will Offer Tapas and CocktailsIt’s opening in November. 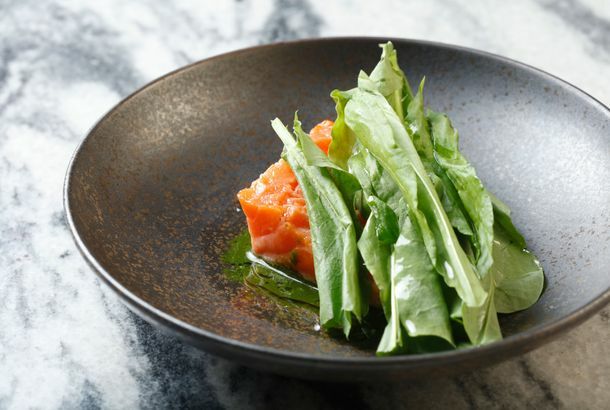 Michelin-Starred Atera Has Reopened With a Completely New Menu From Danish ChefThe celebrated Tribeca tasting counter will remain a destination for high-caliber, nature-inspired cooking. Grand Banks Returns May 15 With Lobster Rolls, Oysters, and FriesNew chef Kerry Heffernan hails from Eleven Madison Park. Taylor Swift Dressed Like an Equestrian to Go to Whole FoodsJust a casual equestrian look. 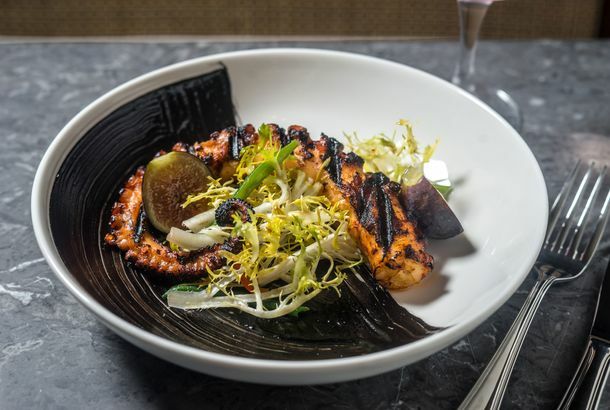 Restaurant Review: At Little Park, Andrew Carmellini Cooks for HimselfAnd at Upland, Justin Smillie tries to go home again. What to Eat at Little Park, Andrew Carmellini’s New Farm-to-Table KnockoutThere’s kale in the ravioli. The Harrison Will Close at the End of DecemberNew York loses another great restaurant to rent hikes. New York’s Best New Bakery Is Located in an Office-Building LobbyHow did a talented bread man end up opening a fantastic new bakery in the lobby of 40 Worth Street? Floyd Cardoz to Serve Short Ribs and Sea Bream at White Street, Opening ThisThe chef’s a Danny Meyer disciple. Floyd Cardoz’s New One Will Evoke the ‘Sophistication and Glamour ofIt opens in September. Floyd Cardoz Will Open New Restaurant in TribecaIt opens in a few months.